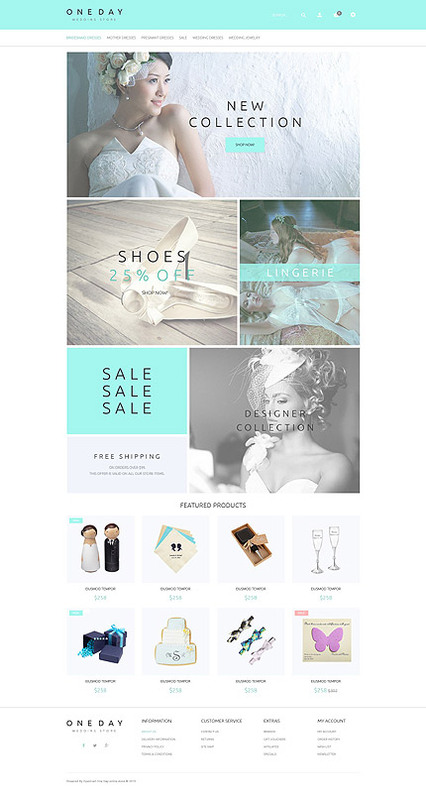 Wedding Stuff OpenCart Theme features a simple yet modern design. 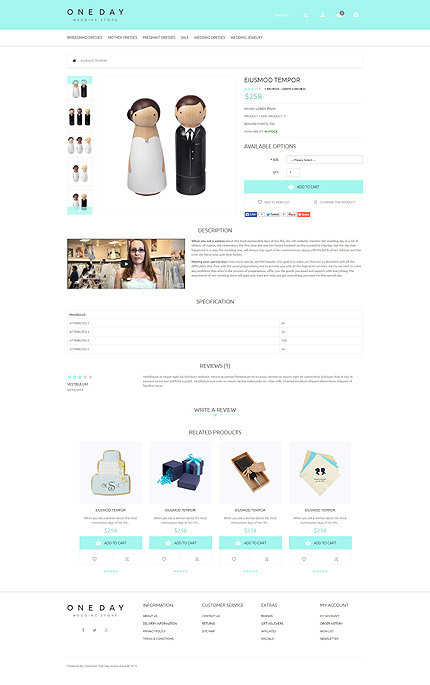 The template is primarily intended for creating wedding-related online stores, however if you drop some other content it will be suitable for a different purpose. Due to tile-based layout you can add a visual and structural balance to your website. The theme comes with online chat functionality, commenting system, contact form, login form, and newsletter subscription. It is created using the latest HTML and CSS standards as well as HTML plus JS animation. 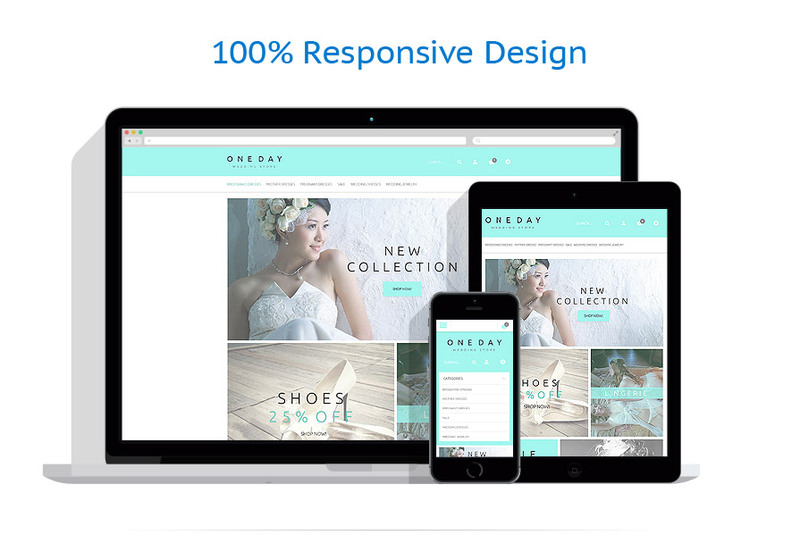 Thanks to a 100 responsive layout, your website will easily fit to any screen size it is displayed on. For faster skinning, PSD files are included.